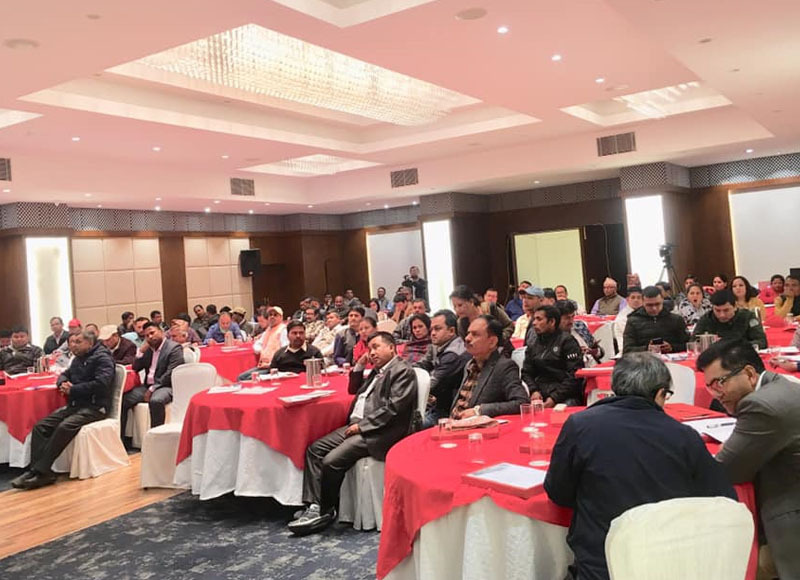 GEFONT organised a training on contributory social security programs to the affiliate union enterprise level presidents in Kathmandu. During the training contributory based social security programs, contribution and benefits from it has been discussed. GEFONT Vice President Cde. Ramesh Badal informed about the program scheme, contribution process and earning benefit .He requested to workers to aware the employers to be enlistedwith in the month of Chaitra (March/April). He answered the queries forwarded by participants regarding social security fund. Shyam Raj Adhikari, Executive Director of the Social Security Fund gave information on background of fund establishment and present situation of the fund. Approximately 2250 employers have been enlisted and still big numbers of employers are yet to be enlisted. During the training, participants get information on present situation of enlistment, conditions of bank account and well as minimum wage. 6 groups has been divided for group work. During presentation of group work, it has been facilitated GEFOTN Vice Presidents Cde. Ramesh Badal, Cde. Bidur Karki, Cde. Deepak Paudel, Cde. Kamal Gautam, Cde. Manju Thapa and Cde. Jitendra Shrestha. During the training, 106 participans have been participated from all over the country.